BBQ chicken is fully dependent on BBQ Sauce. Every good barbecue sauce is made up of four key elements: sweet, sour, spicy and salty. 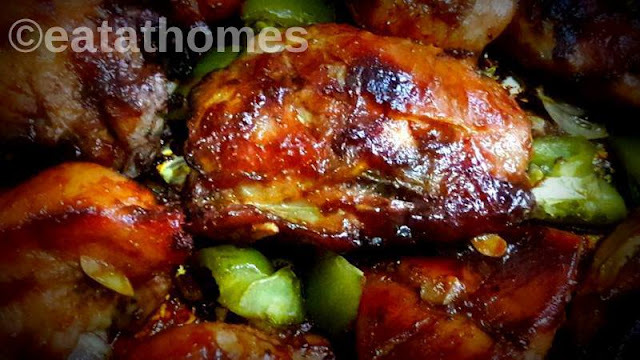 everyone’s favorite, healthy and easy dinner must try this easy yummy recipe at your home. तो इस दशा में जो राज्य हो वह क्या ही धन्य होगा! जिस राज्य का परमेश्वर यहोवा है, वह ही धन्य है! Sprinkle some salt & pepper on it. Use brush to coat the surface of the pan. And stick ’em in a 400 degree oven for about 25 minutes. Pour some jarred BBQ sauce into a saucepan. Then add some peach preserves…just like jam . its optional step just for extra flavor. Now just heat it over medium heat until it’s very hot and the flavors have had a chance to combine. Then set it aside and wait for the chicken to be done with its first stage of cooking. The 25 minutes are up. Flip them over to the other side so the skin side is up. Brush sauce on the flip side, then return the pan to the oven for 7 more minutes. then pop it back into the oven for another 7 minutes. Then do it again: pull it out, brush on sauce, and back into the oven. Until the sauce is starting to darken and looks yum…. 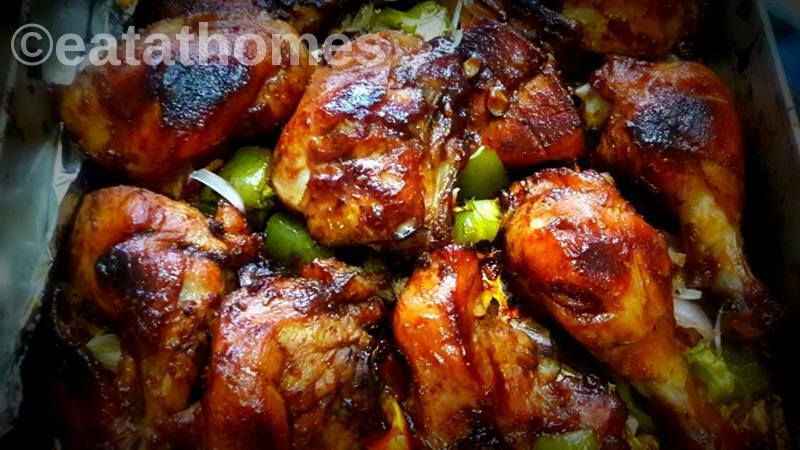 you can use any kind of chicken you’d like legs or full chicken But more delicious , juicy, flavorful is chicken thighs and legs. you can make your own BBQ sauce at home but you have to compromise with the Smoky flavor .